Alright, so this stuff was so easy, I was almost tempted not to even write about it. But, my husband was just so sure that this was the coolest thing ever–that I really had to share it with the world. 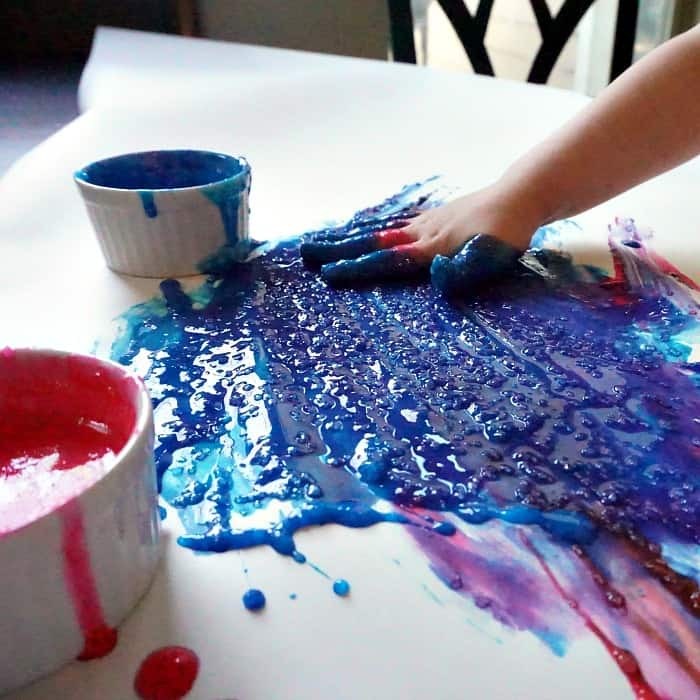 So, here I am, letting you know about the fun new “toy” we’re playing with at home: Allergy-Friendly Textured Edible Finger Paint. Edible because the baby still puts EVERYTHING in her mouth, textured because that’s fun, and finger paint…well, because finger paint is about the coolest thing on the planet. Here’s the recipe, my lovelies. I hope you enjoy it as much as we are. Ok, so the “steps” for this are very simple. Dump the ingredients for each color into a small bowl and stir. Be sure to use the corresponding sprinkle color and food coloring color so there’s no icky color happening. Yep. That’s it. Just dump together and stir. We made like 5 or 6 colors, until some of our sprinkles ran out–then we were down to like 2, and now that we hit the store, we’re back up to the full rainbow. Then, we toss down a strip of our paper roll and let our kiddos go wild with the painting. So simple. 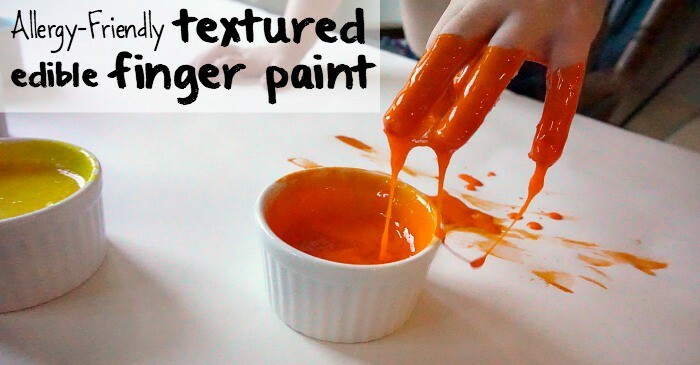 The best part is that this allergy-friendly textured edible finger paint is gluten-free (assuming you use gluten-free corn starch, that is), dairy-free, and pretty much can’t hurt the kiddo at all. So, even if one of my daughters’ friends comes over, we don’t have to worry about putting one of them in the hospital for exposing them to an allergen. Best idea I think I’ve had in a long time. Heh. Let me know what you think. 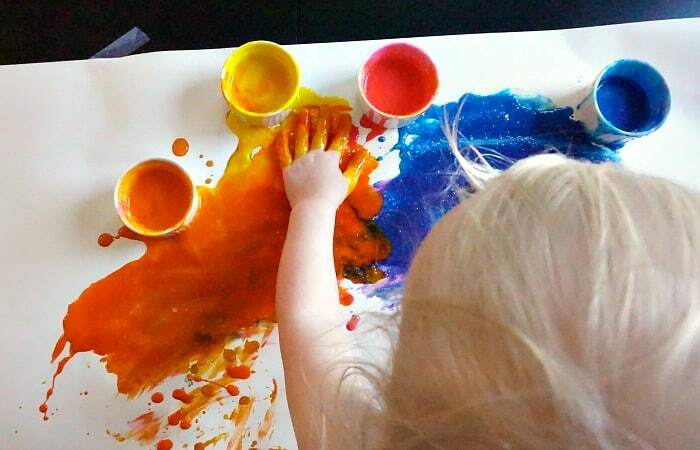 I want to hear all about your messy fun with the allergy-friendly textured edible finger paint! Drop me a comment below–or post a photo on our Facebook page. I’d really love to see the fun you’re having with this.